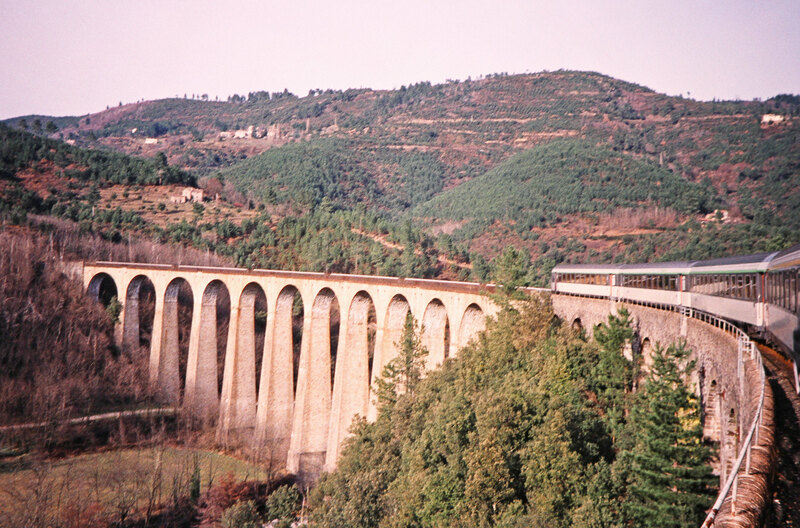 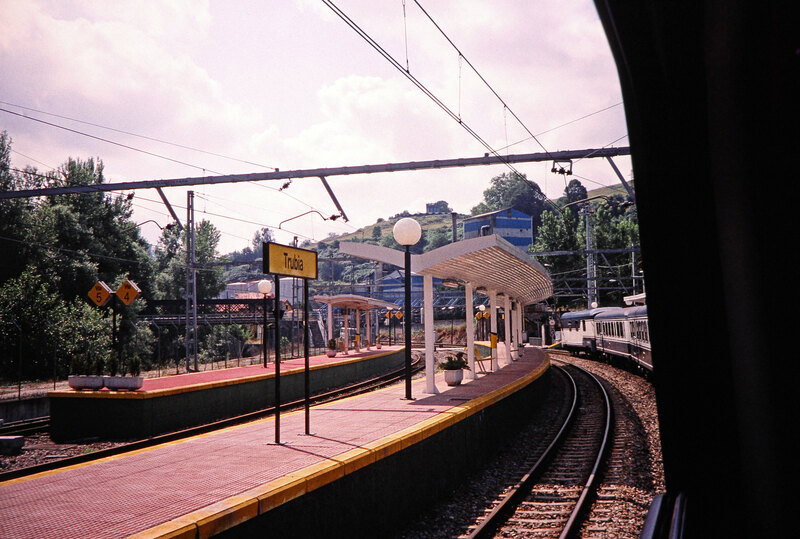 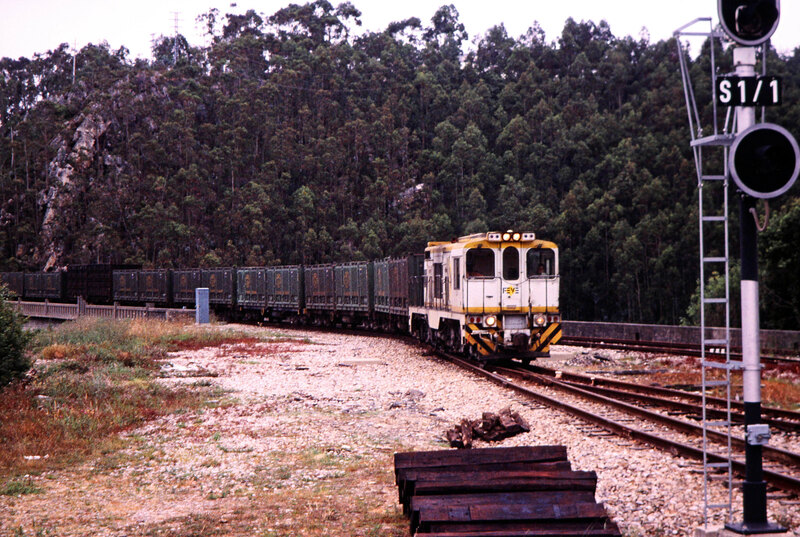 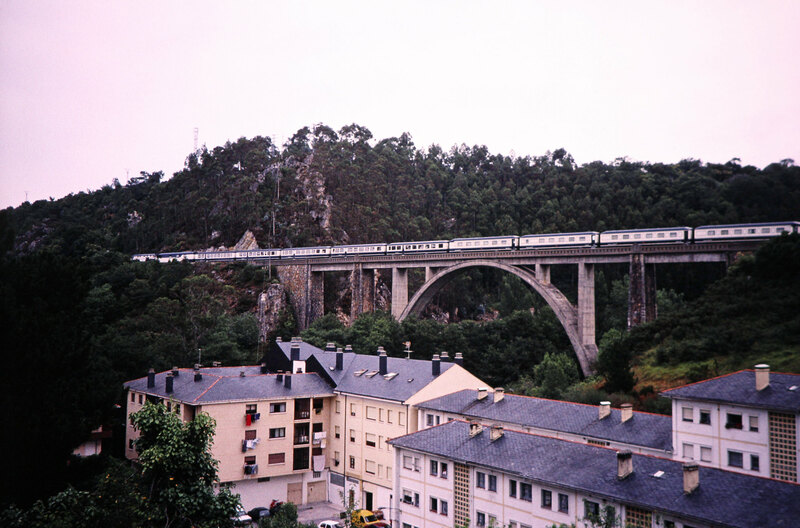 Passenger train crossing a bridge near Luarca, Valdes, Spain, on July 8, 2001. 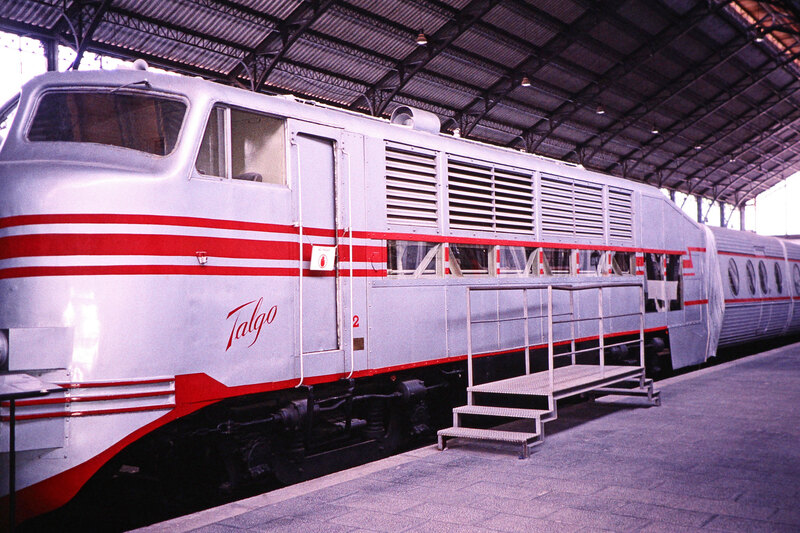 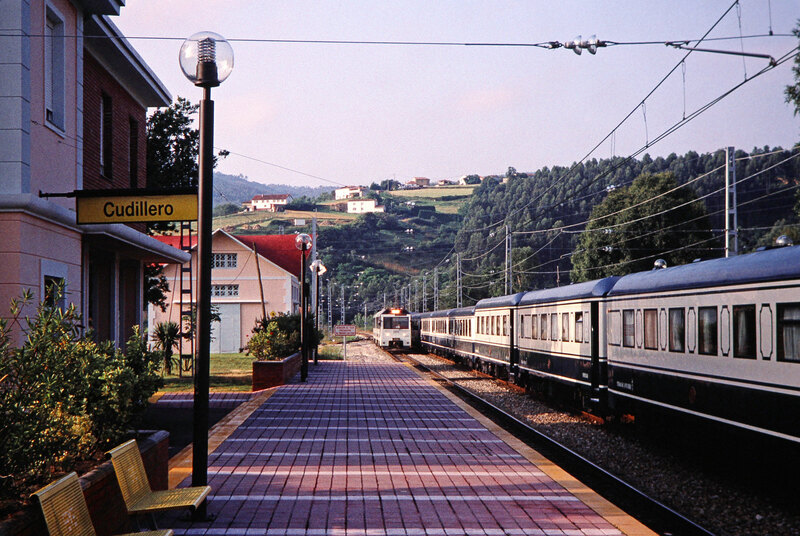 Photograph by Fred M. Springer, © 2014, Center for Railroad Photography and Art. 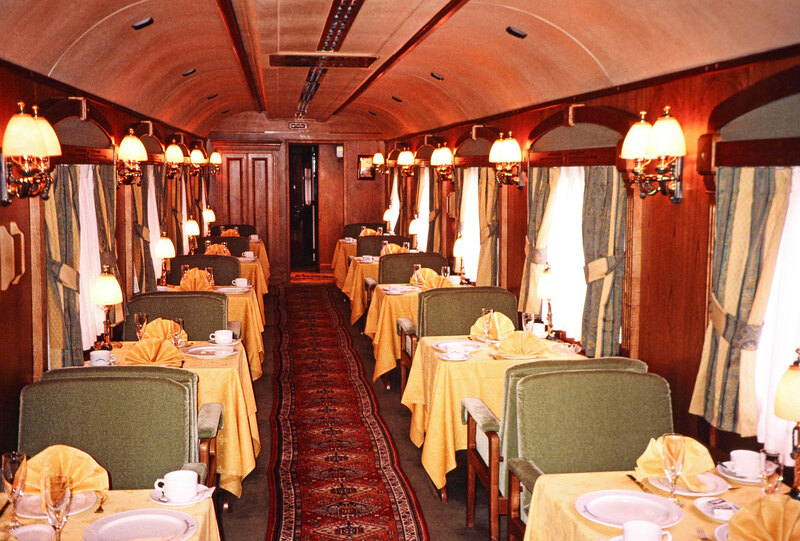 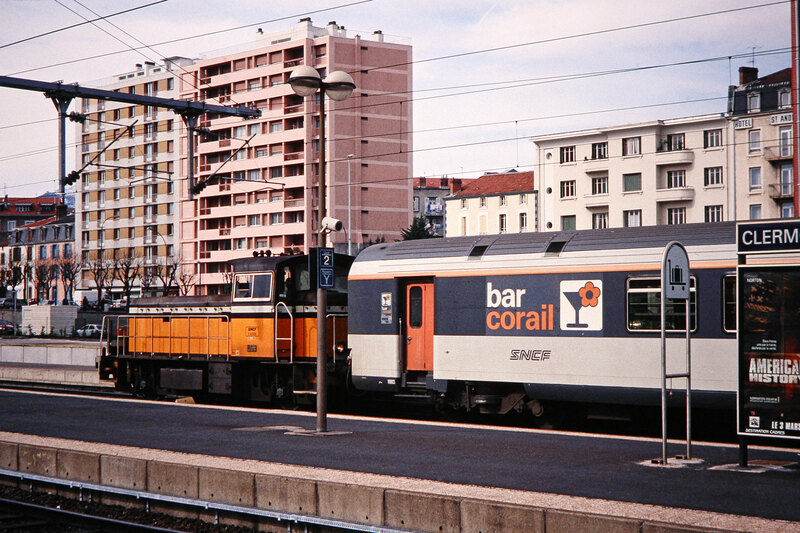 Springer-Spain-BNSF-07-17. 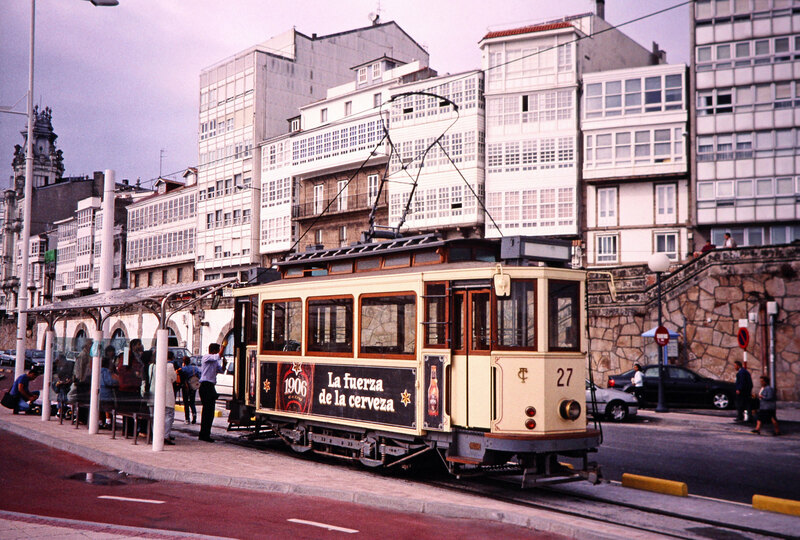 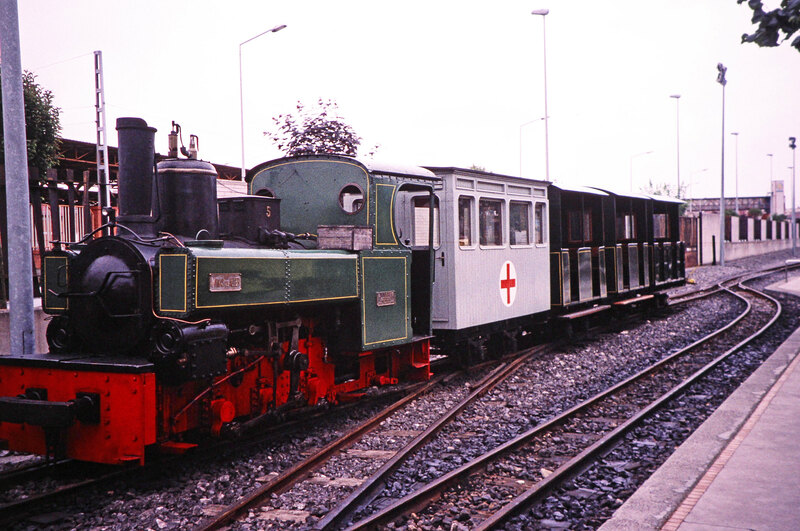 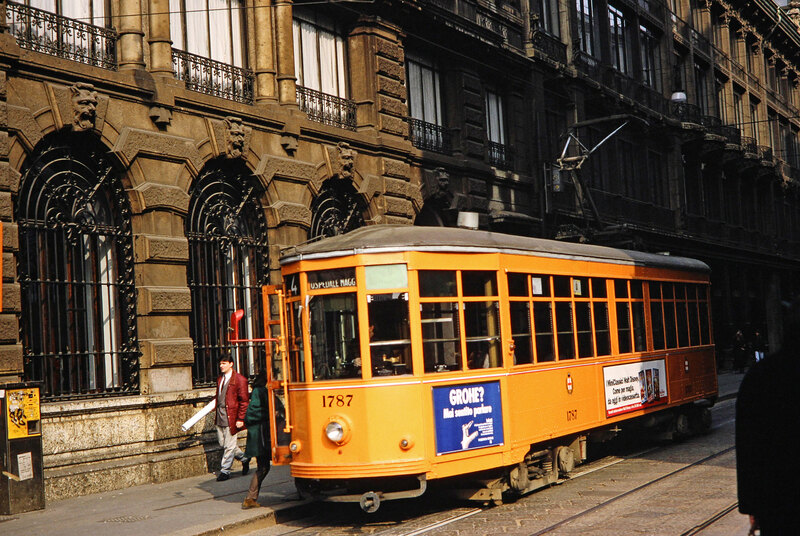 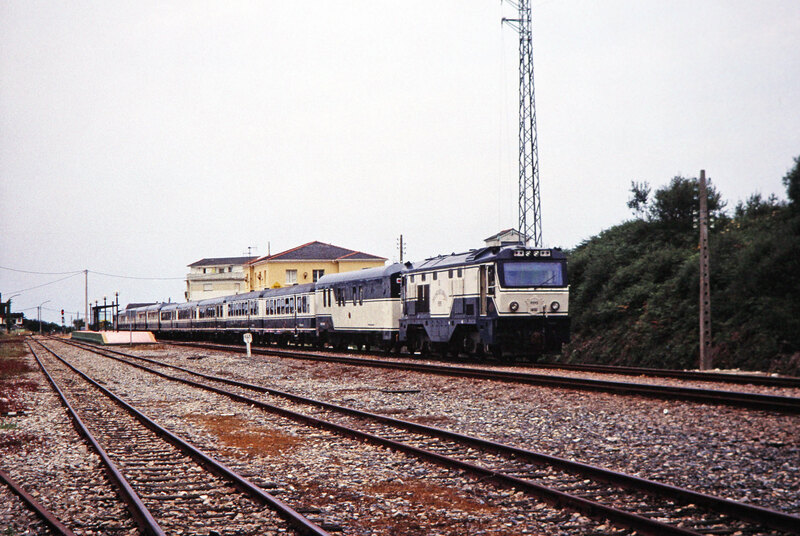 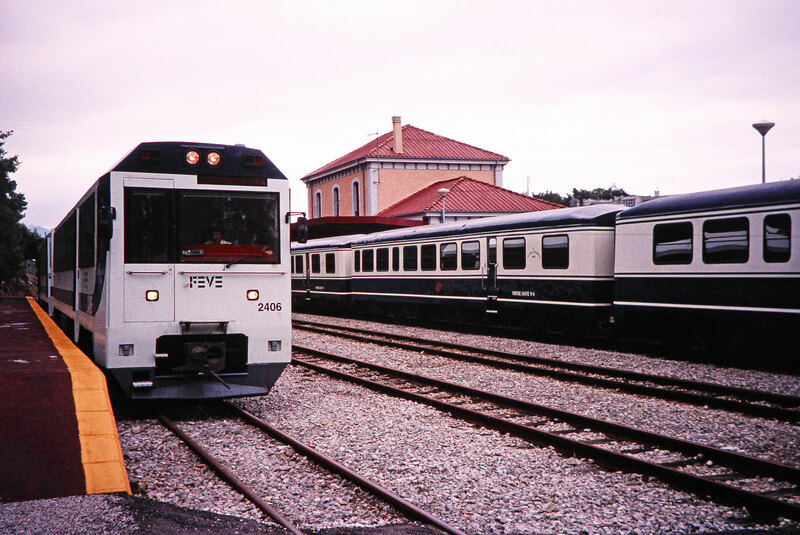 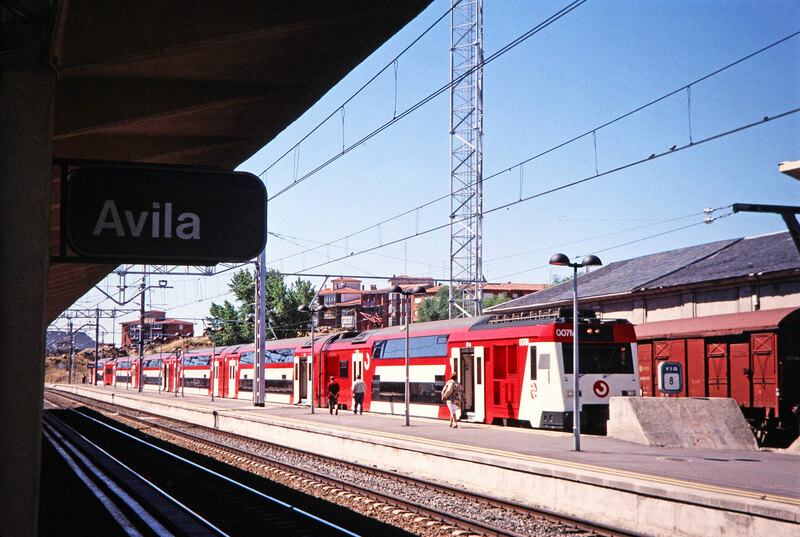 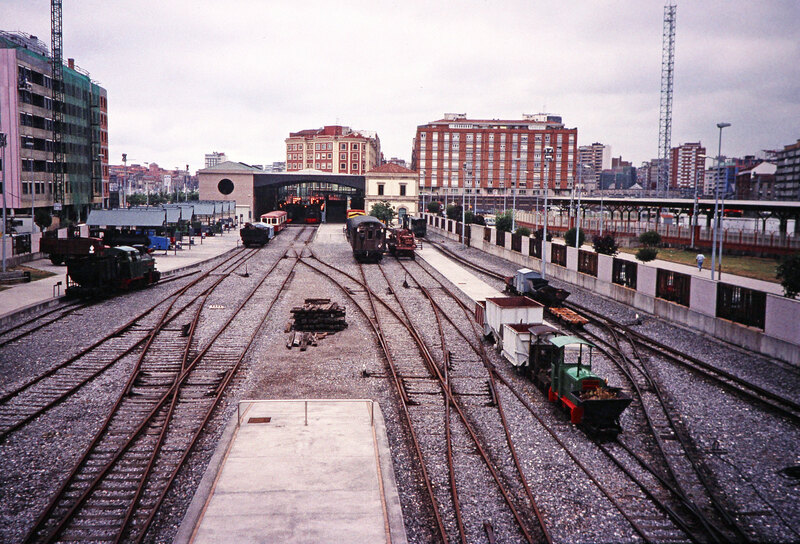 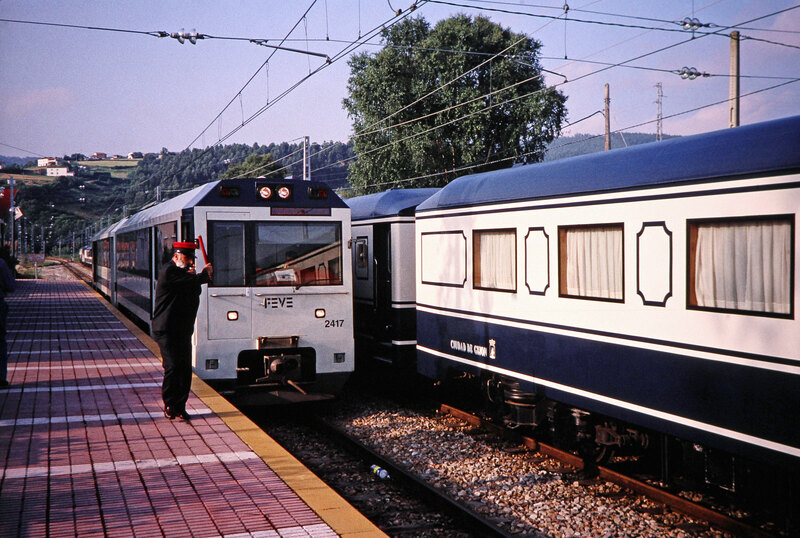 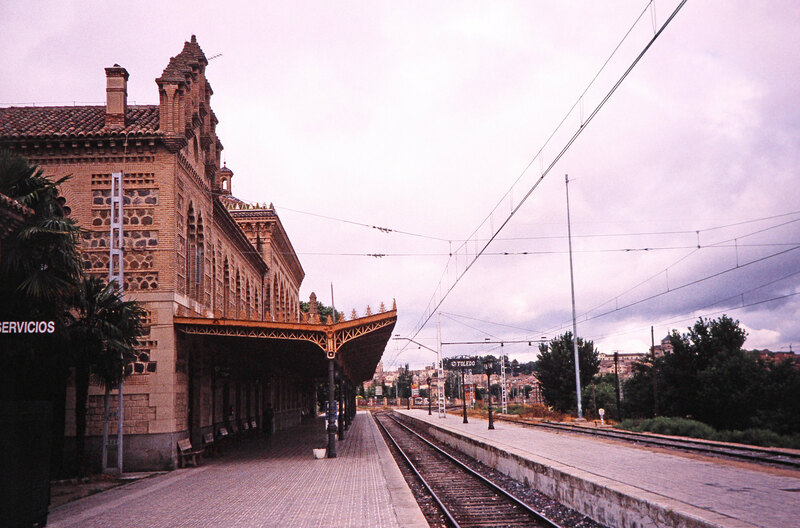 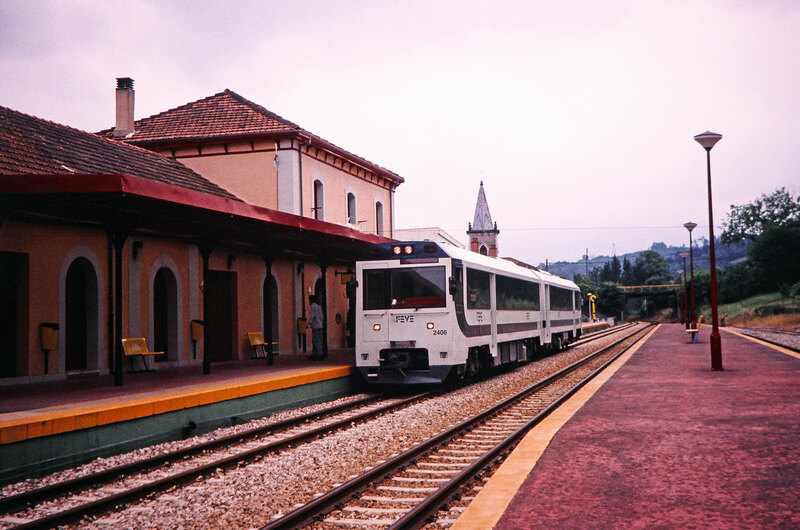 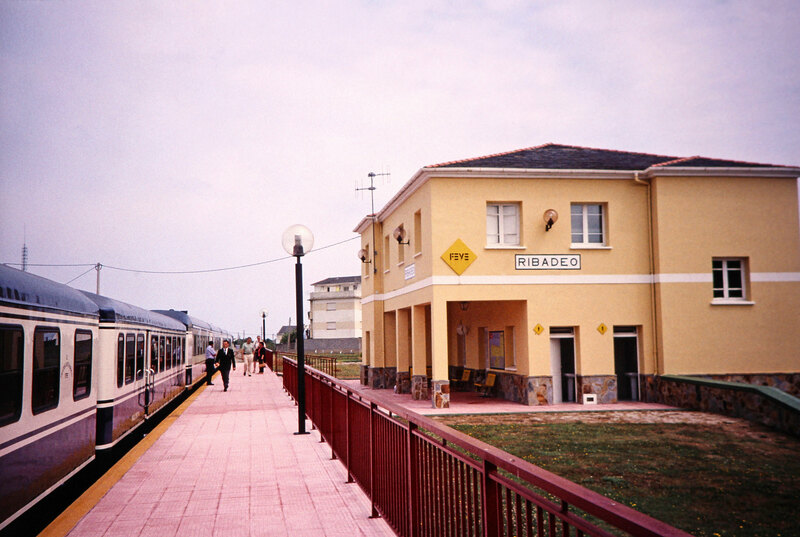 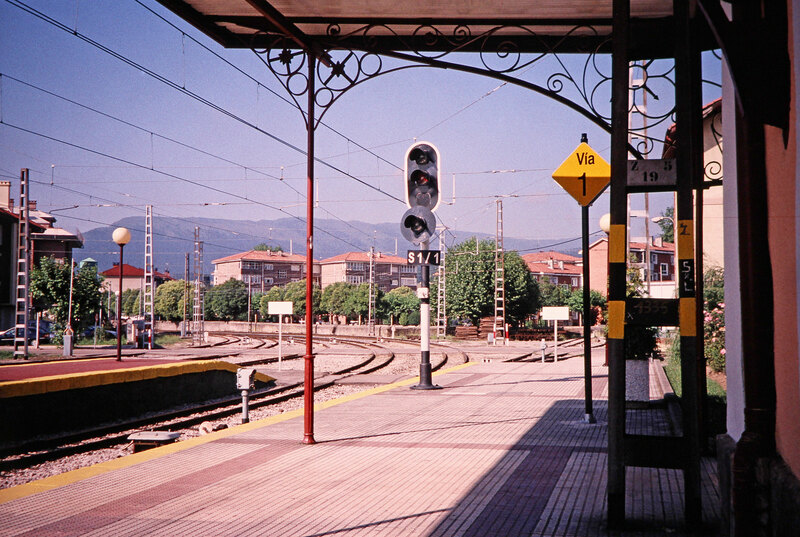 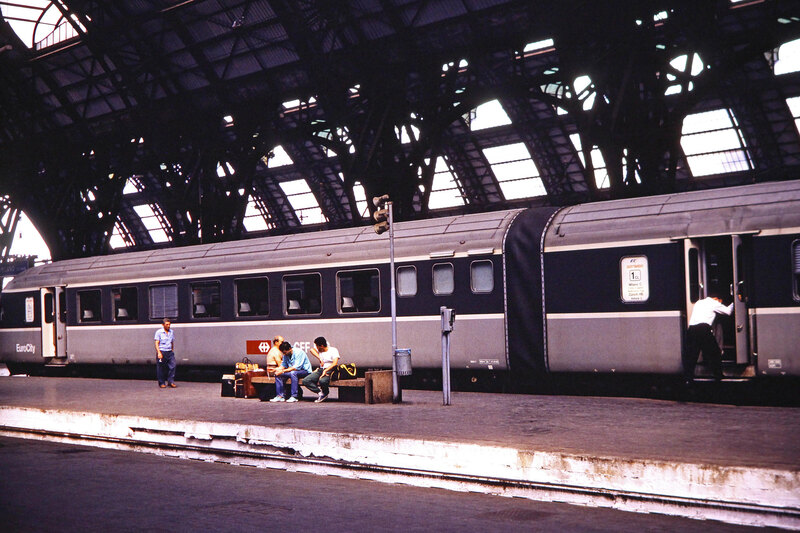 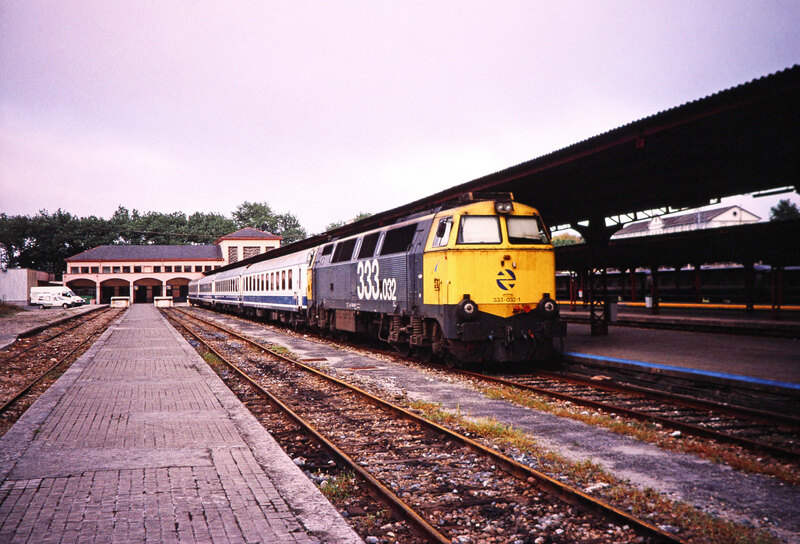 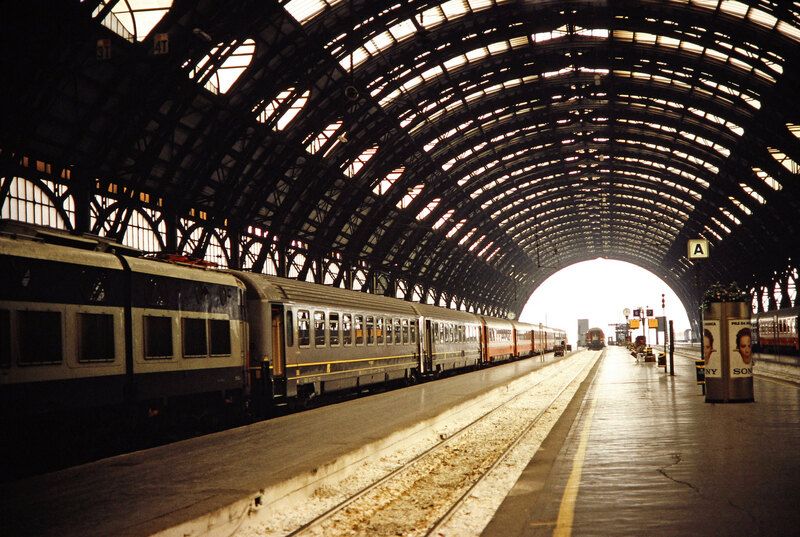 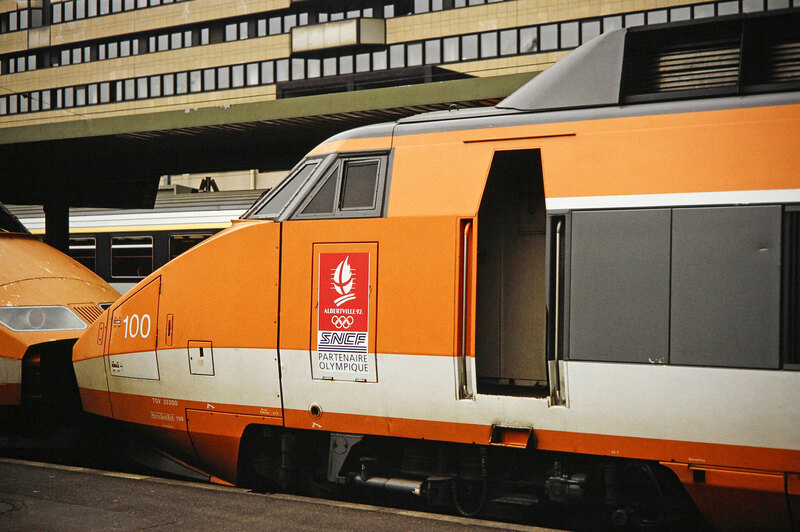 Red Cross steam locomotive and passenger cars at Gijon train station in Gijon, Asturias, Spain, on July 10, 2001. 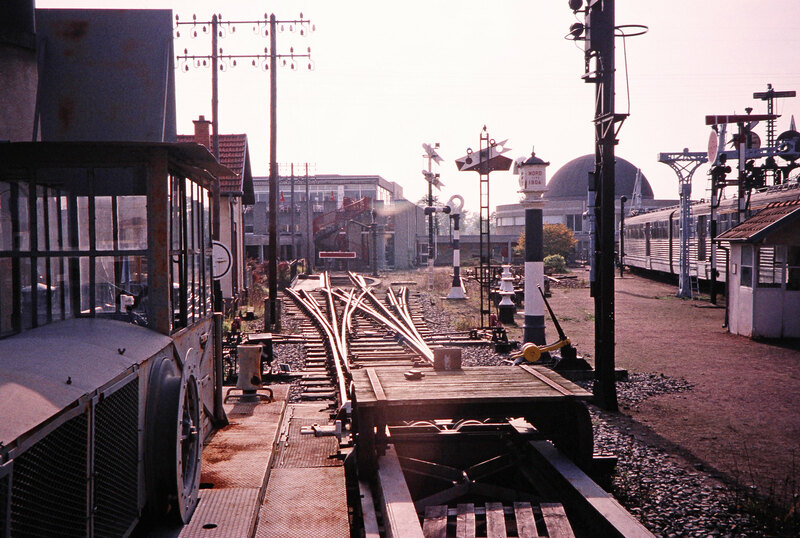 Photograph by Fred M. Springer, © 2014, Center for Railroad Photography and Art. 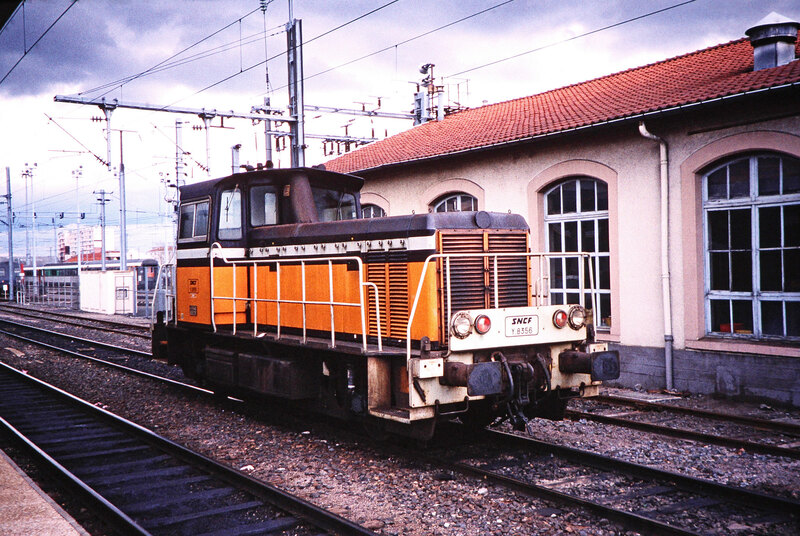 Springer-Spain-BNSF-10-37. 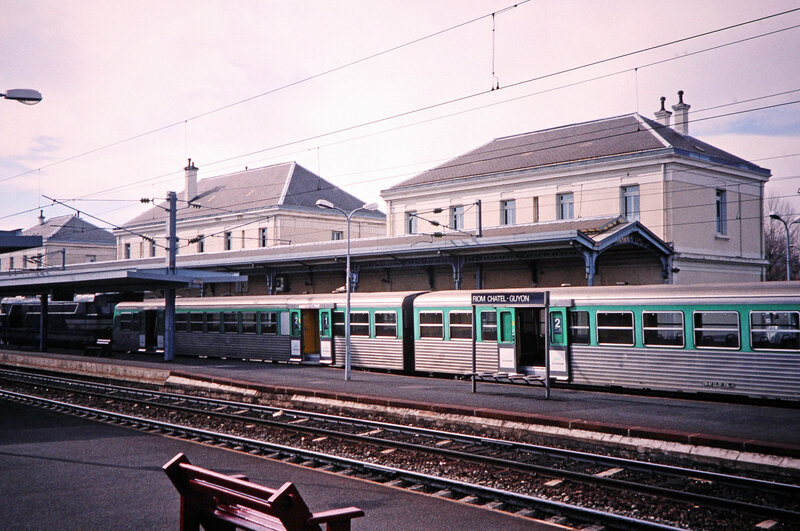 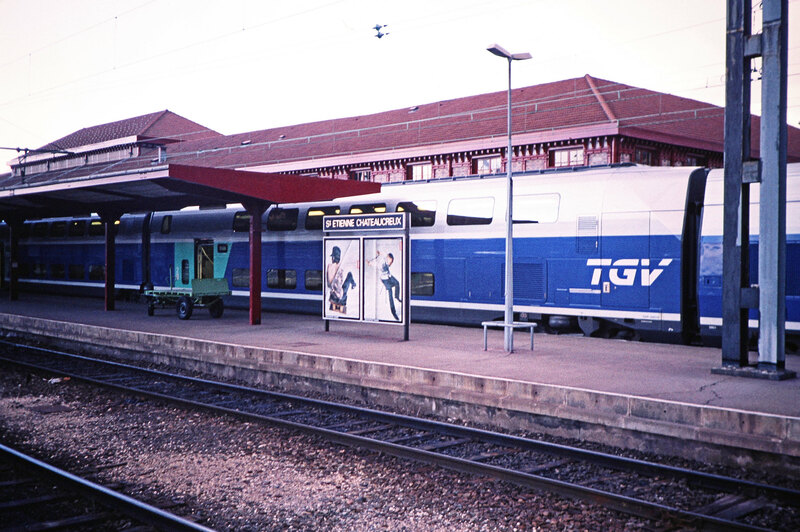 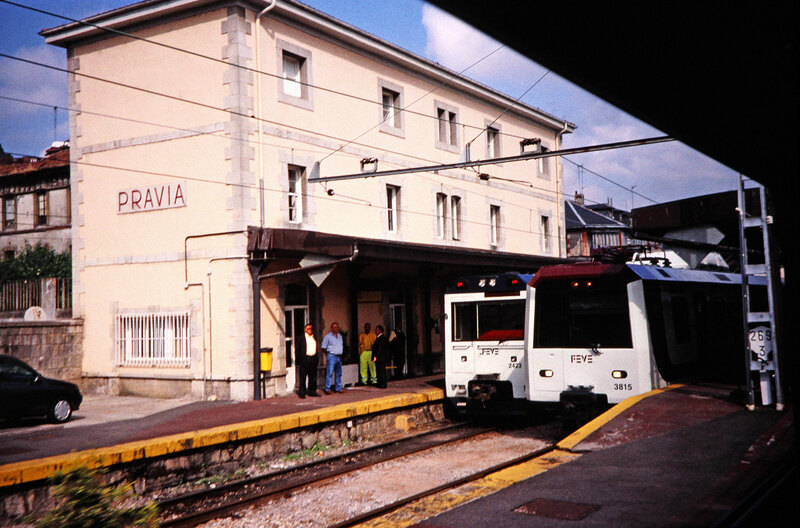 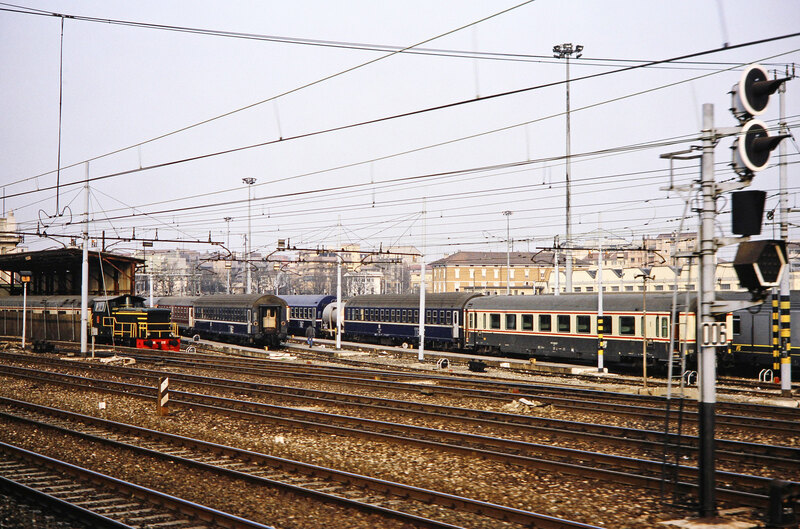 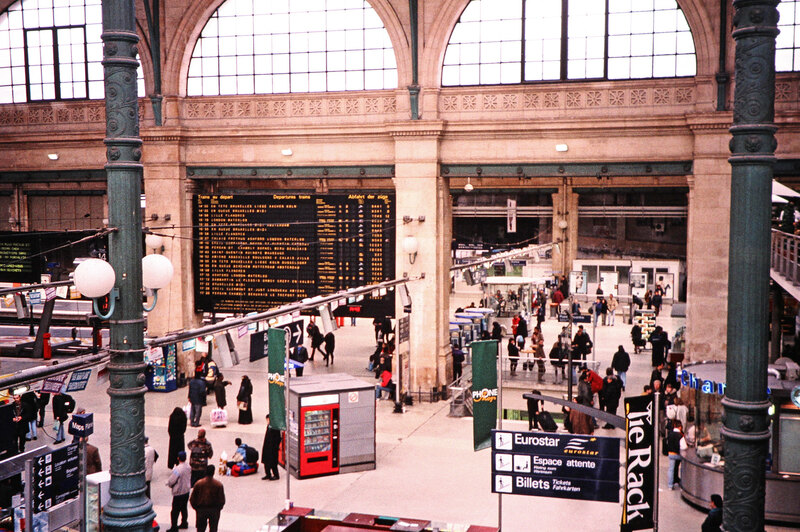 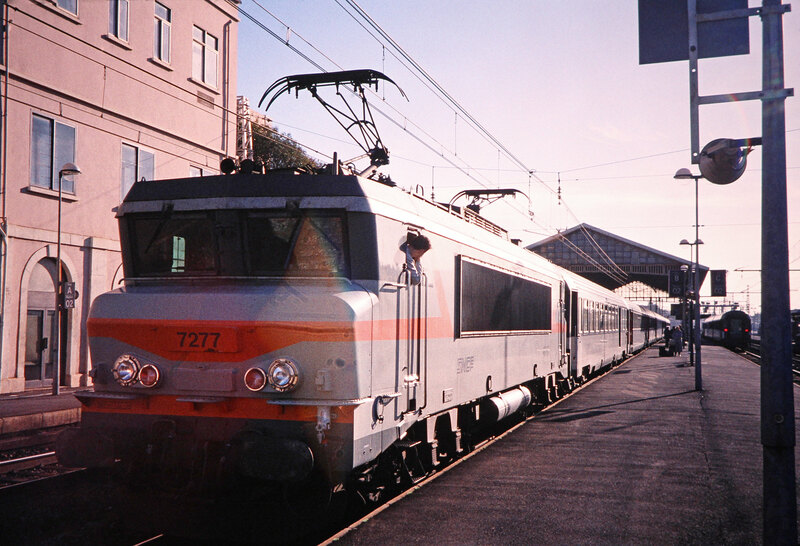 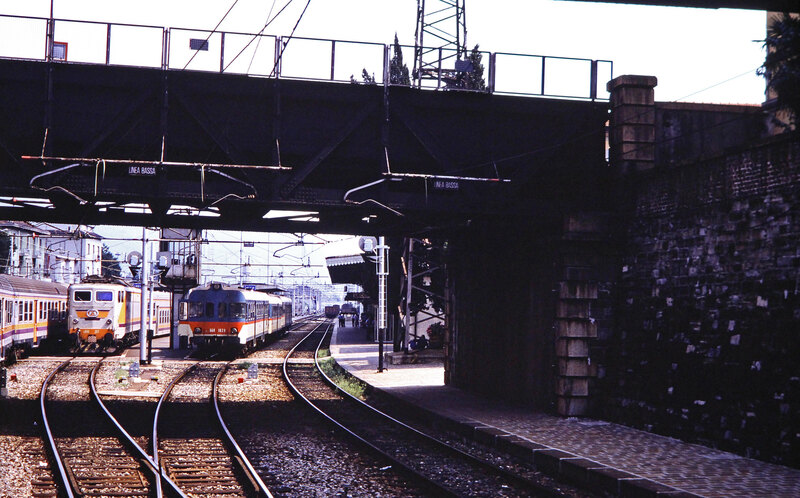 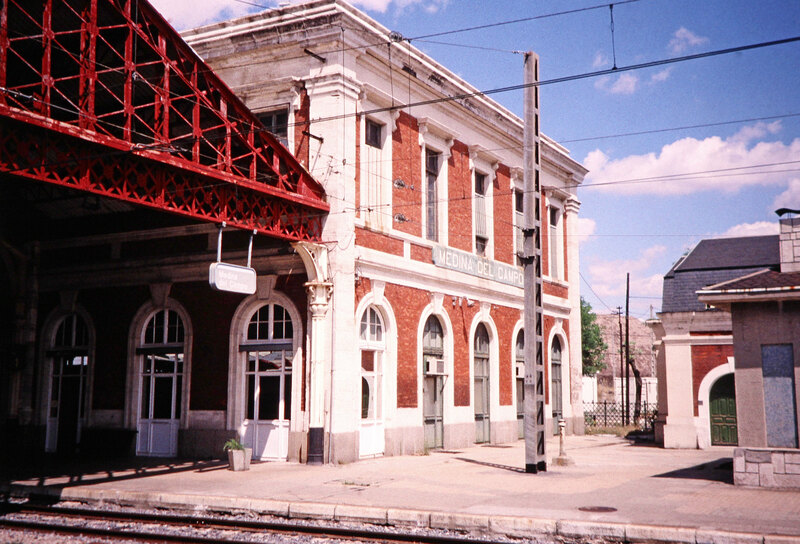 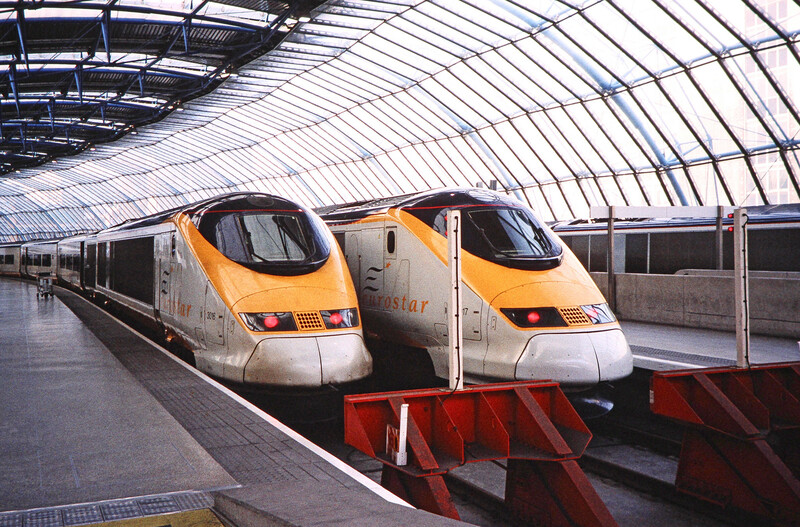 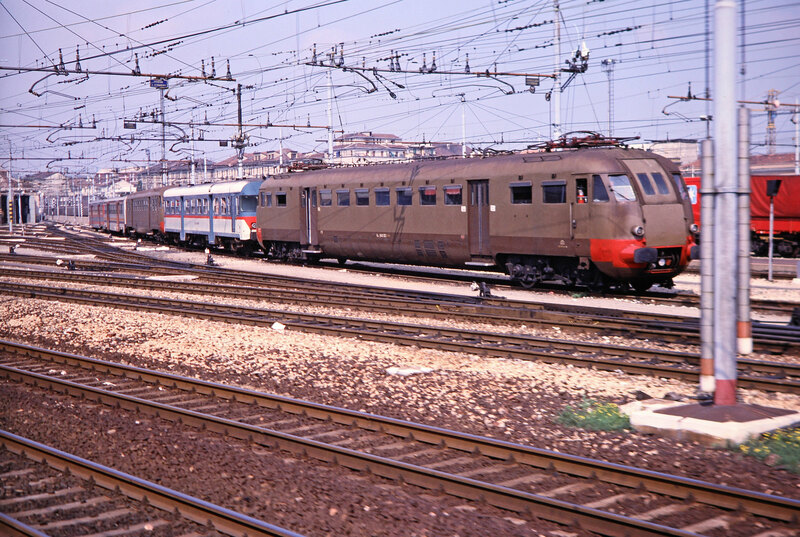 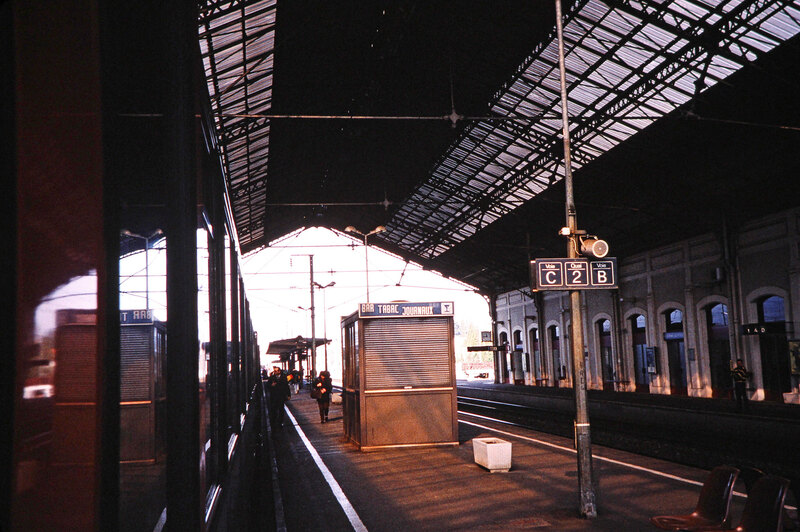 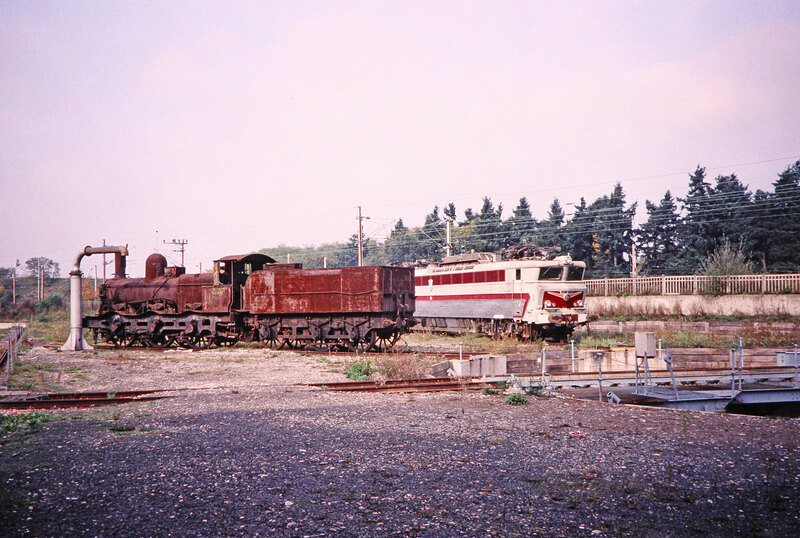 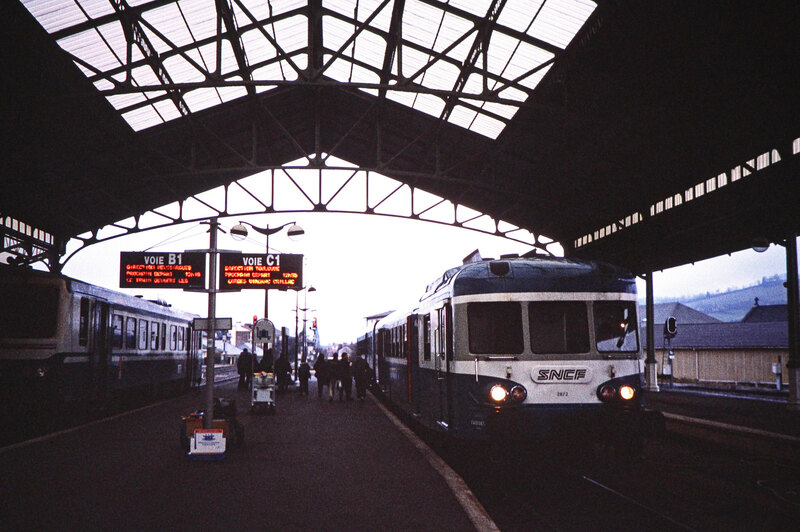 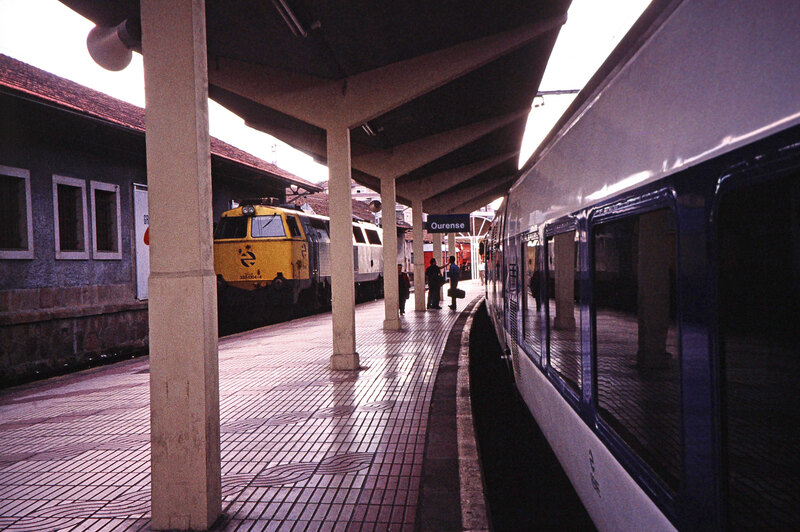 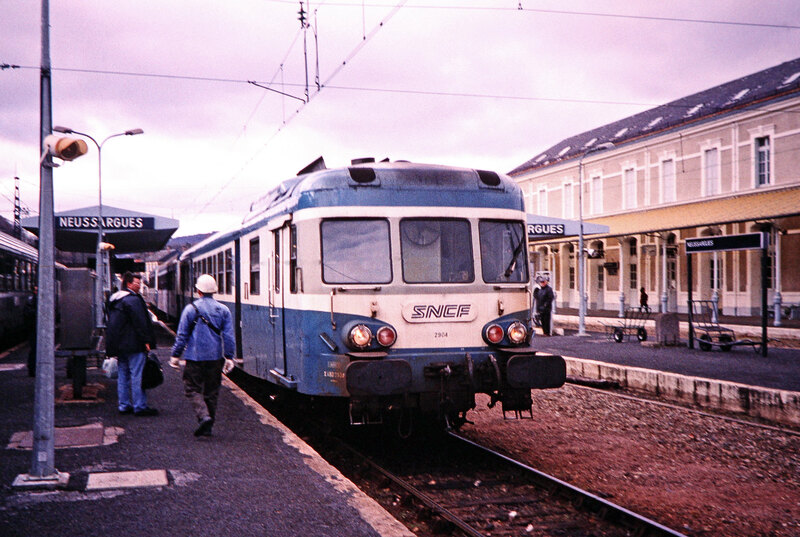 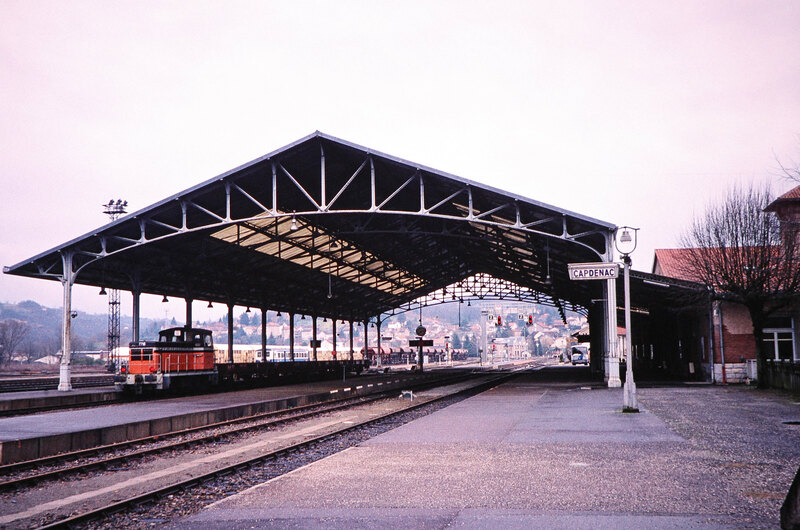 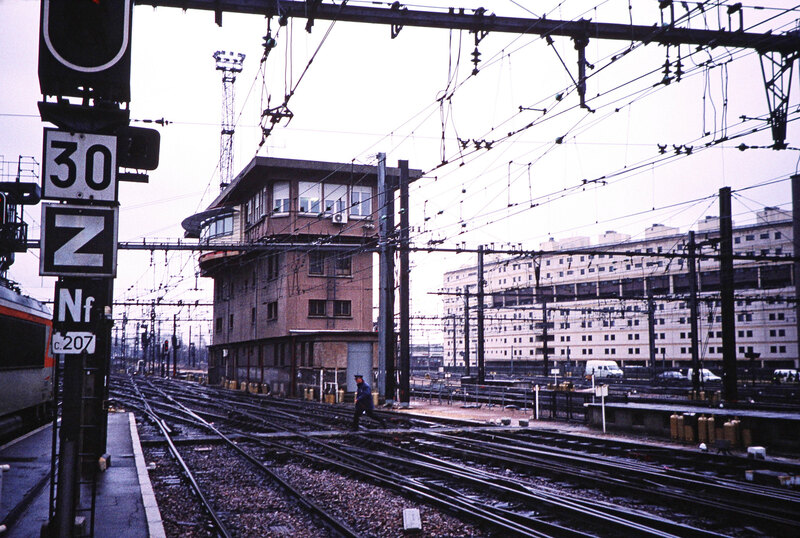 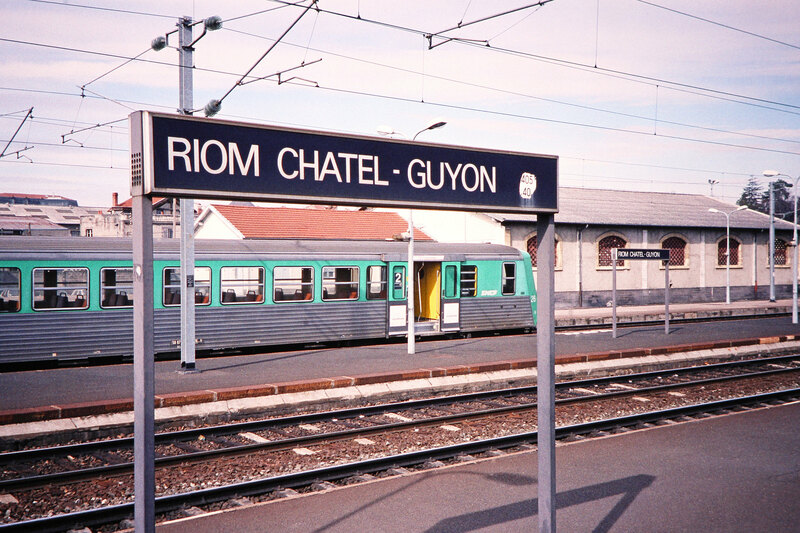 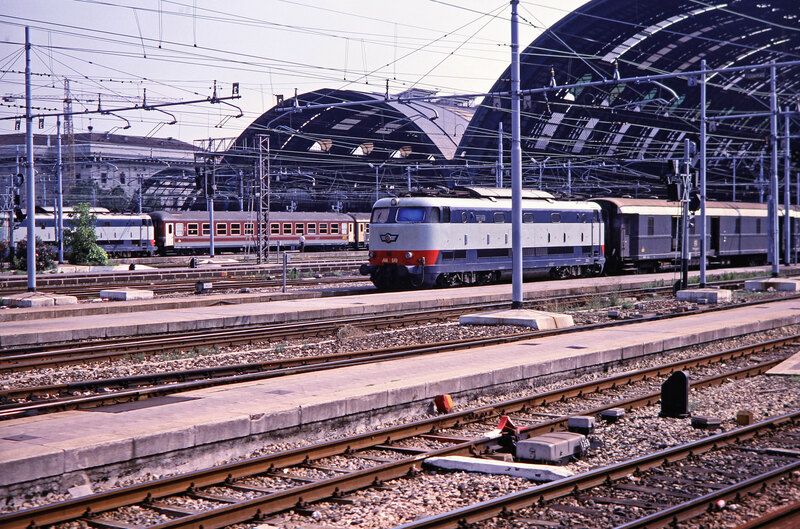 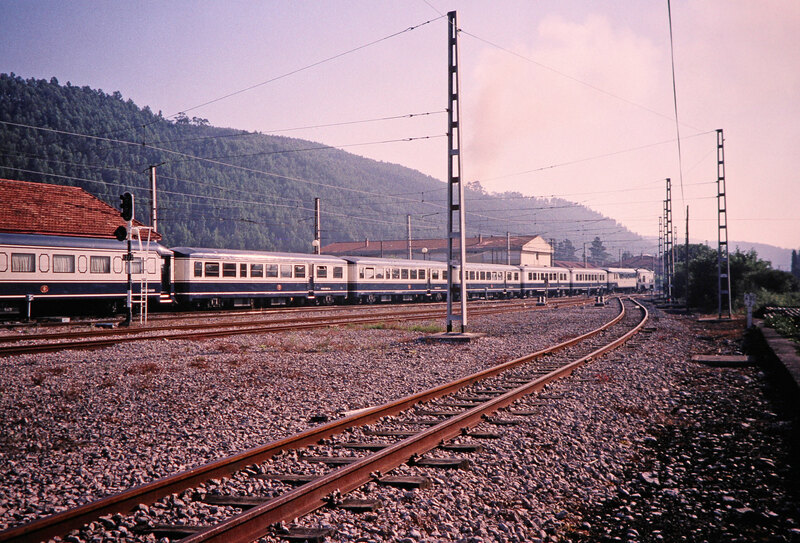 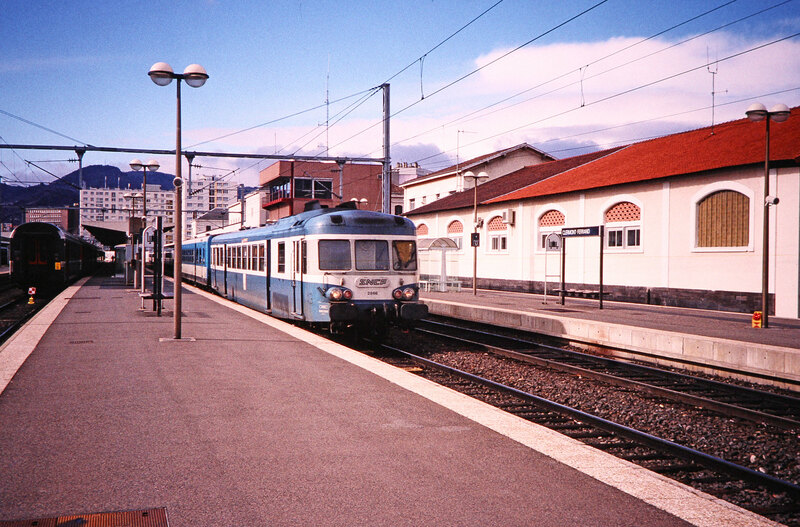 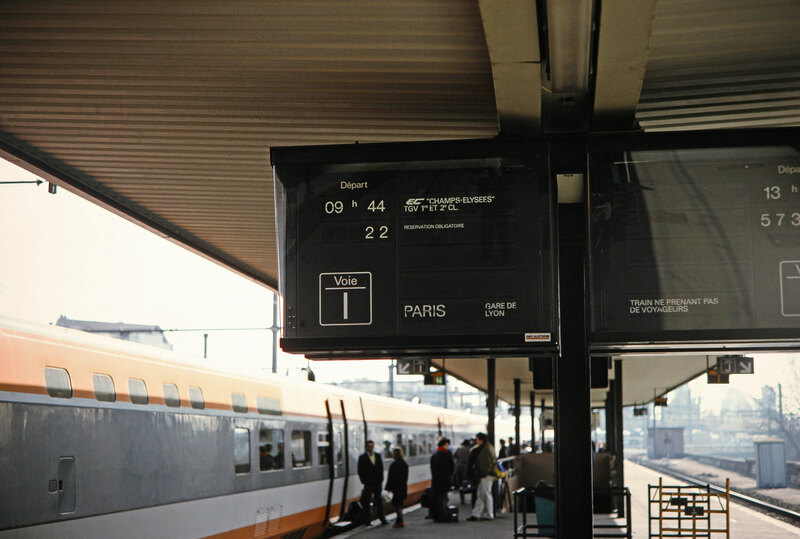 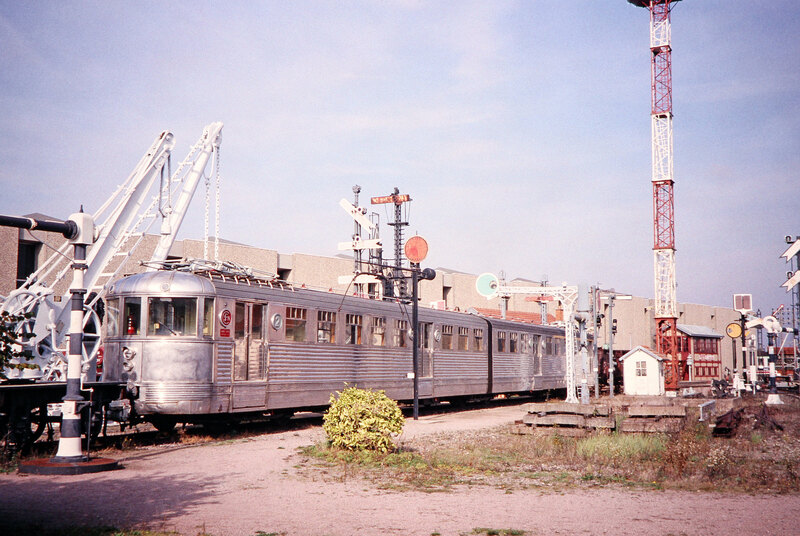 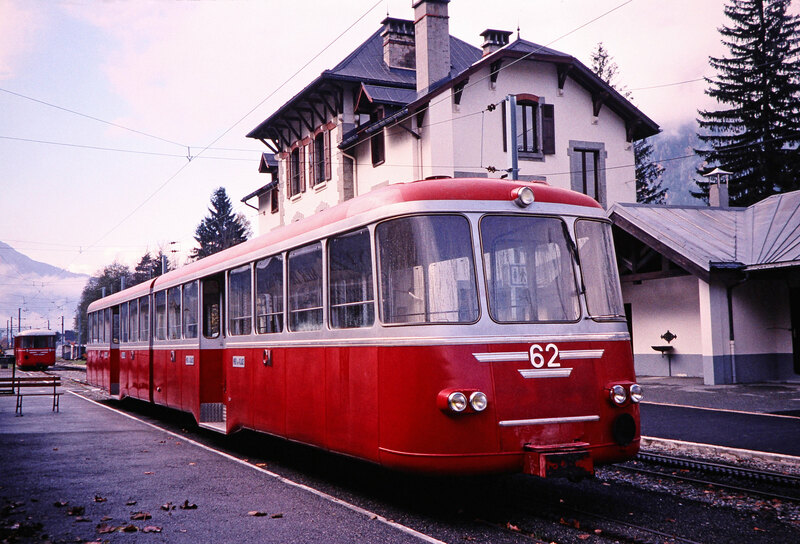 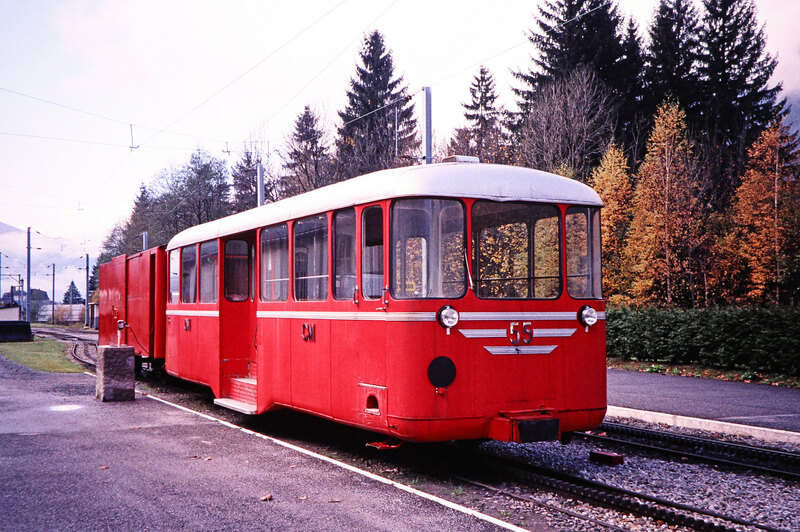 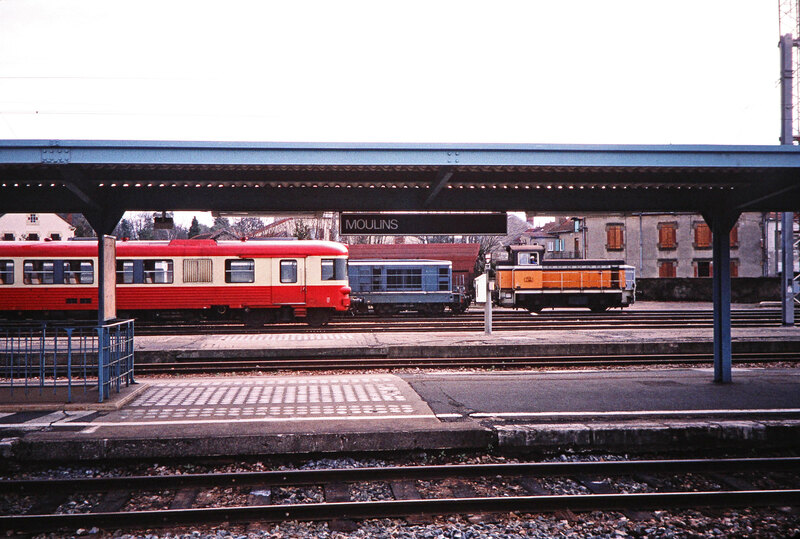 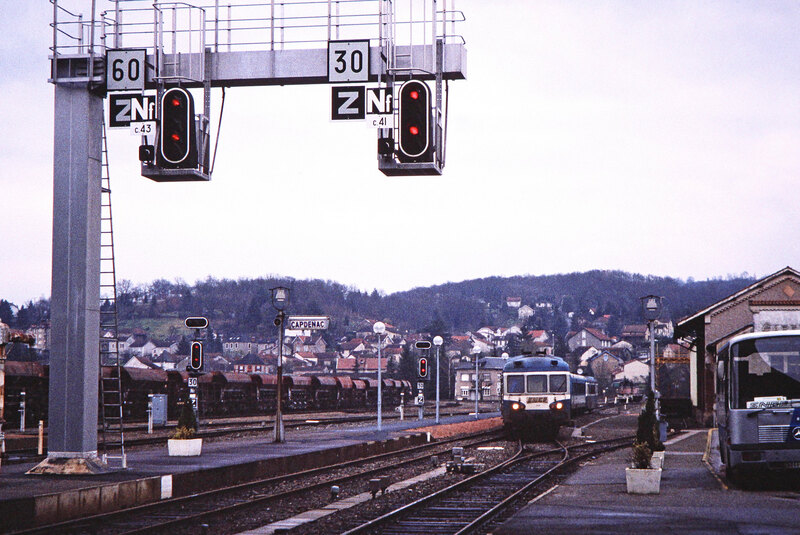 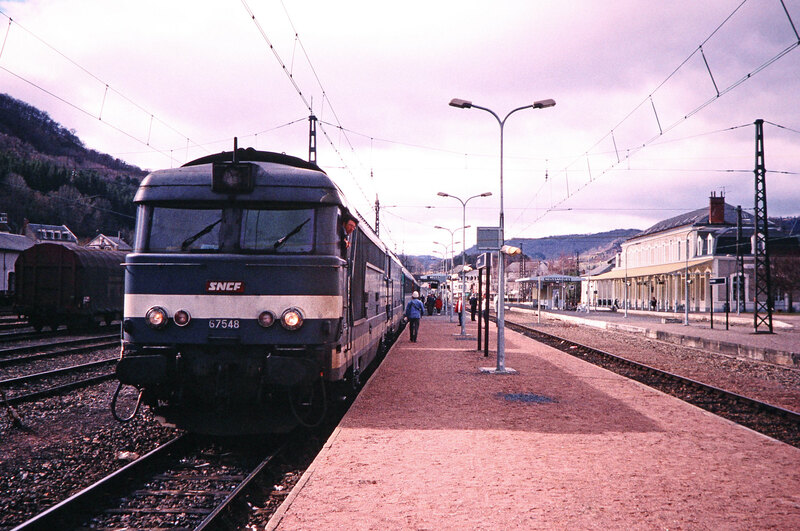 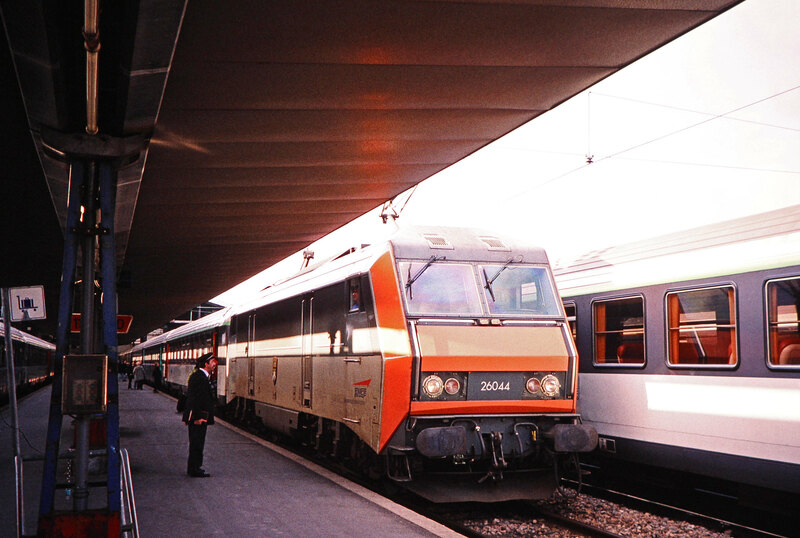 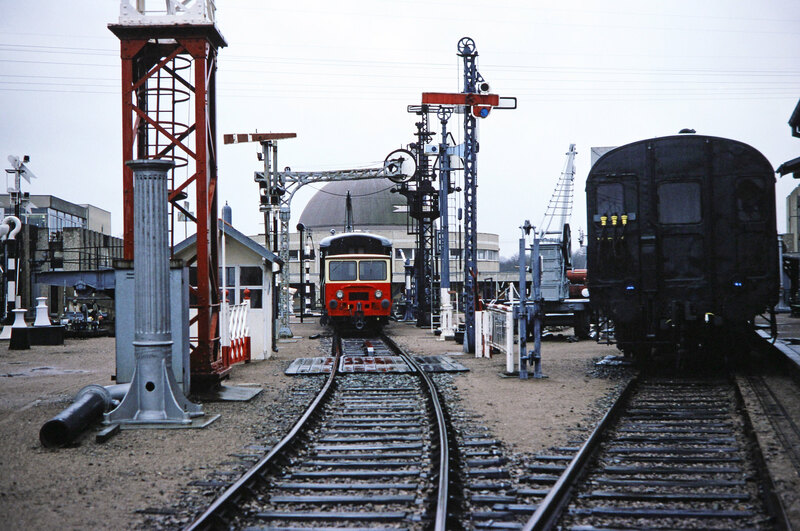 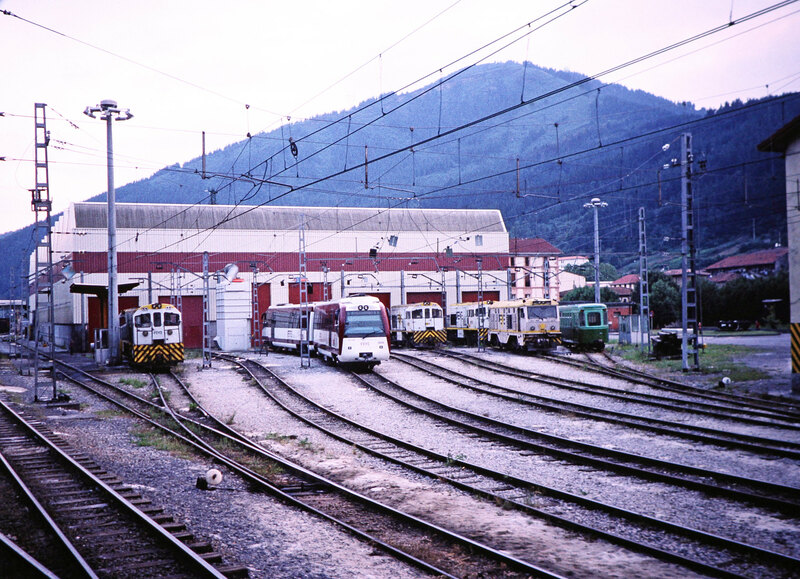 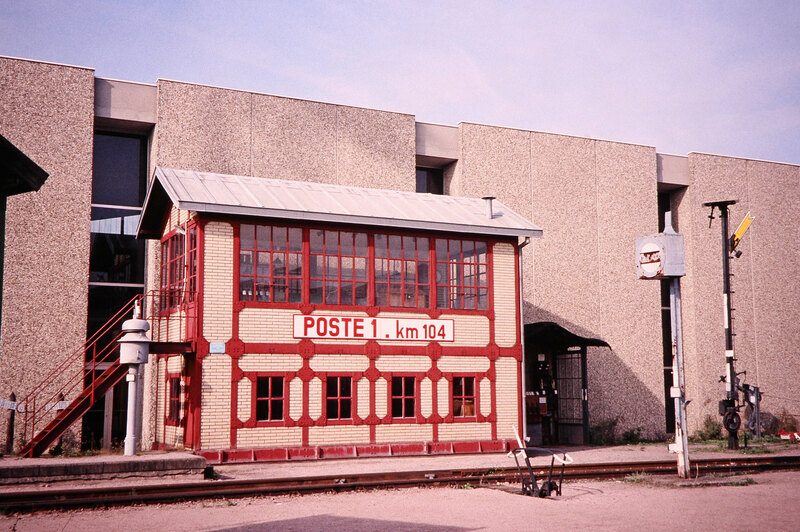 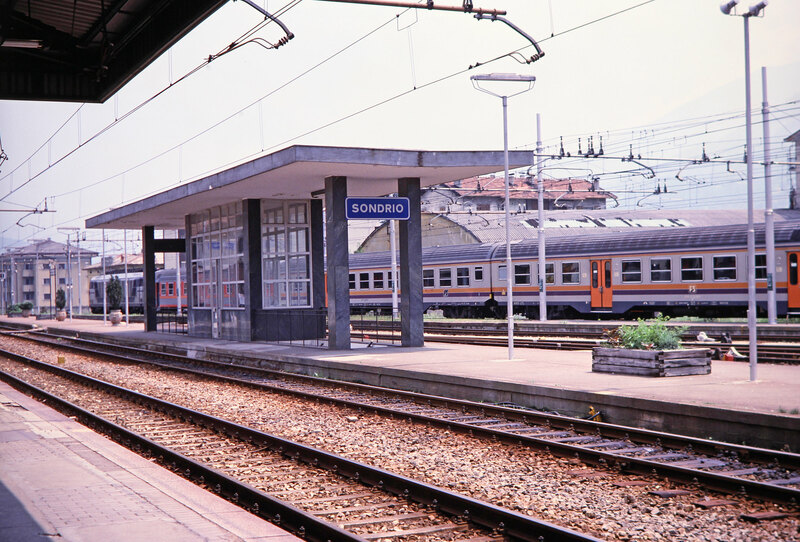 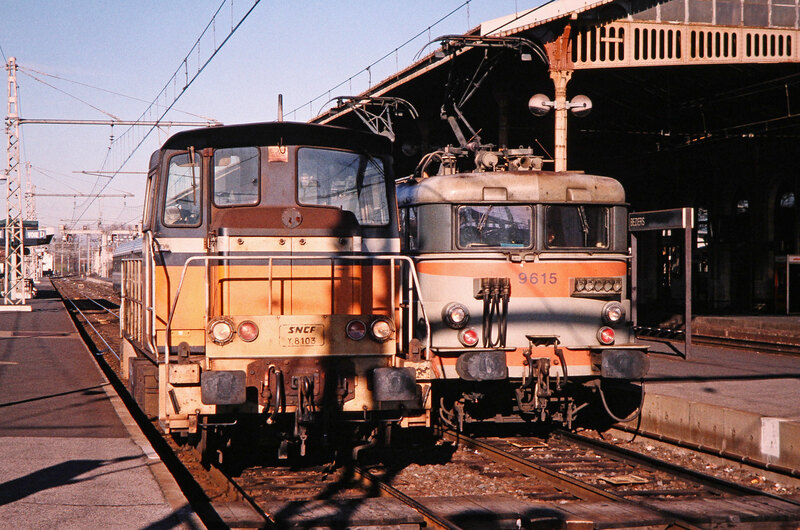 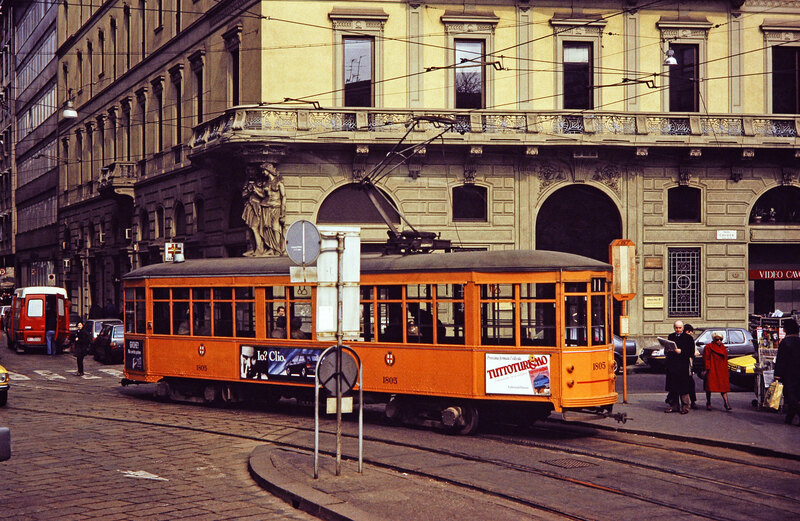 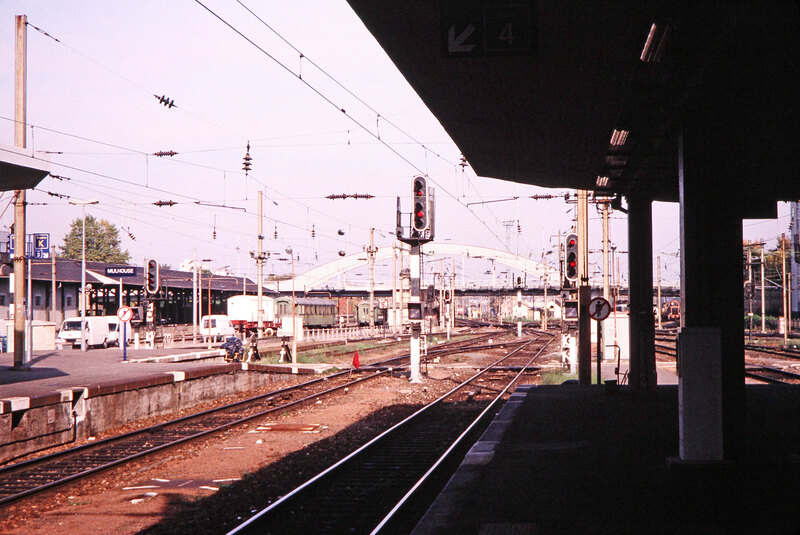 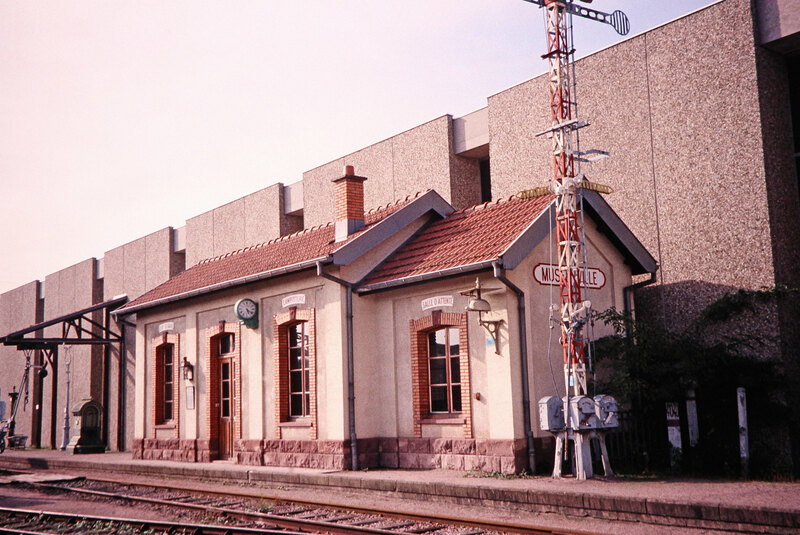 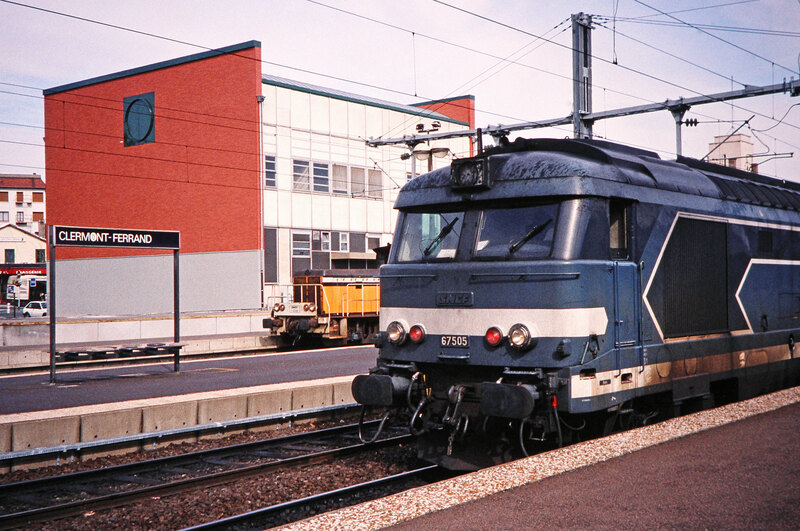 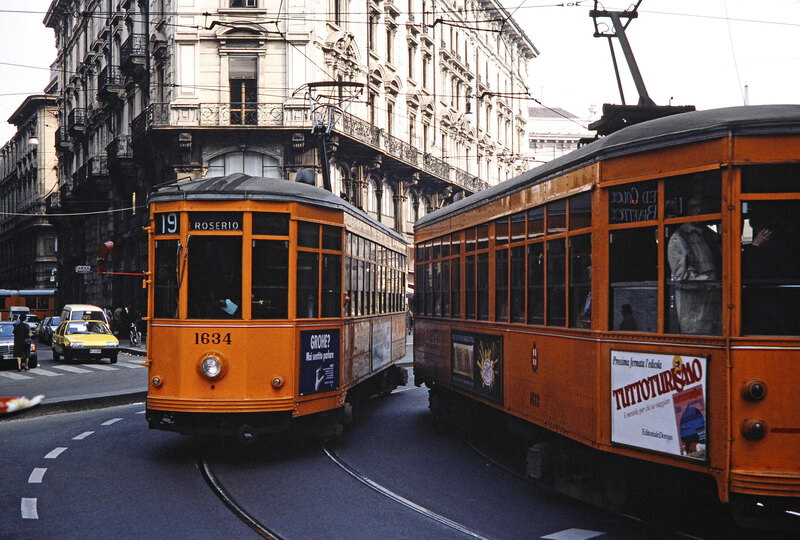 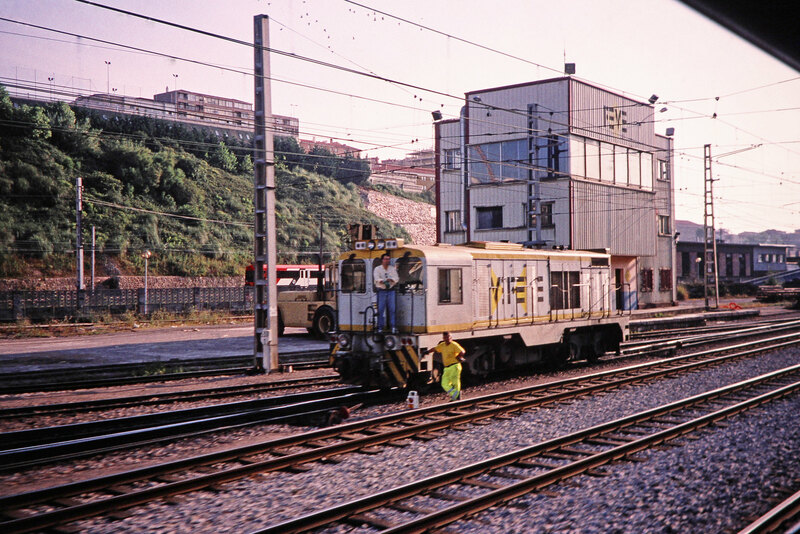 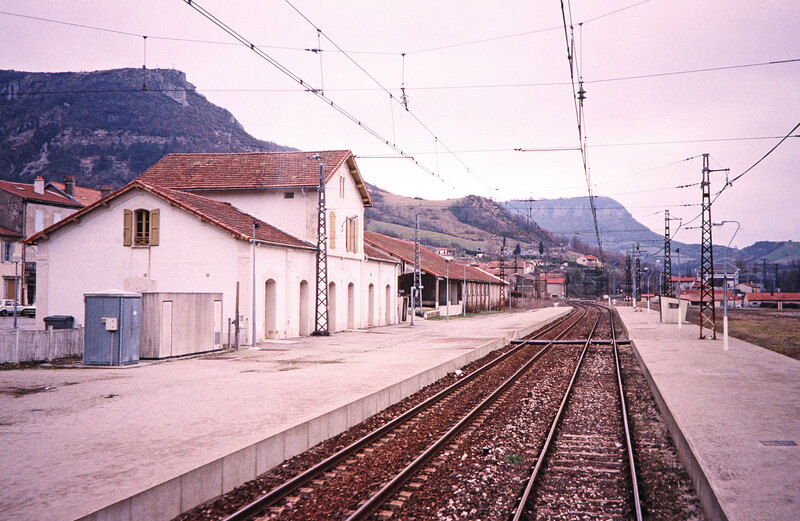 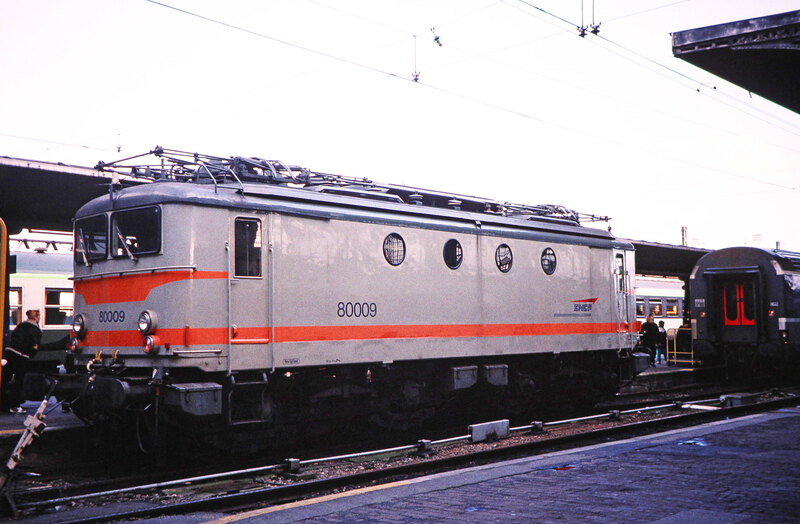 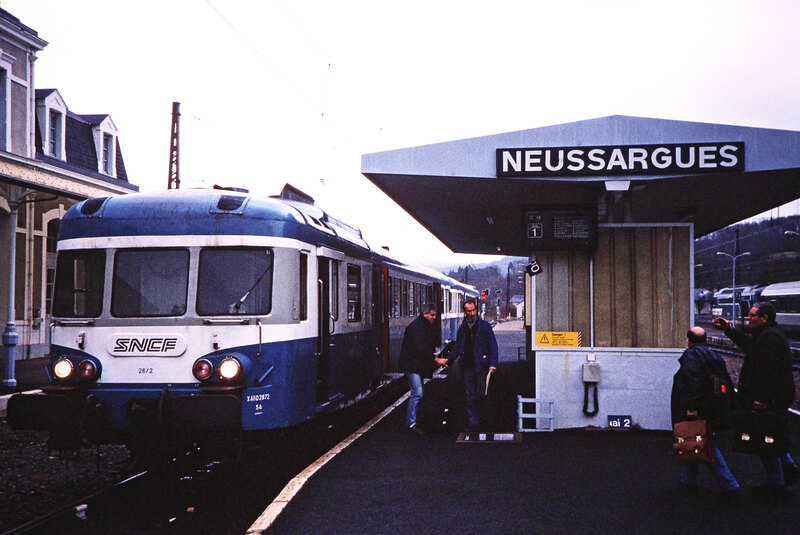 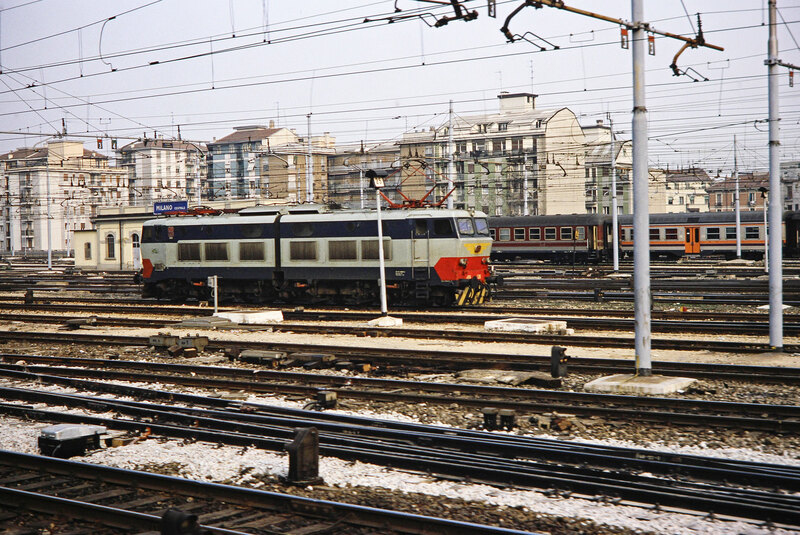 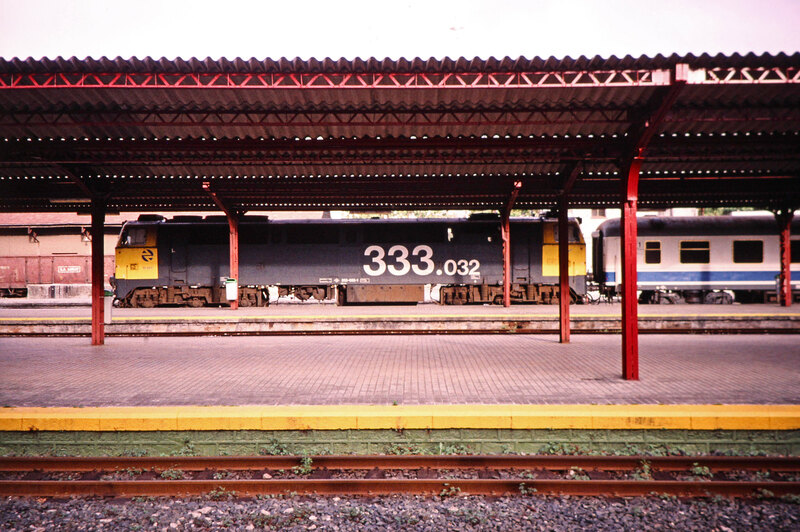 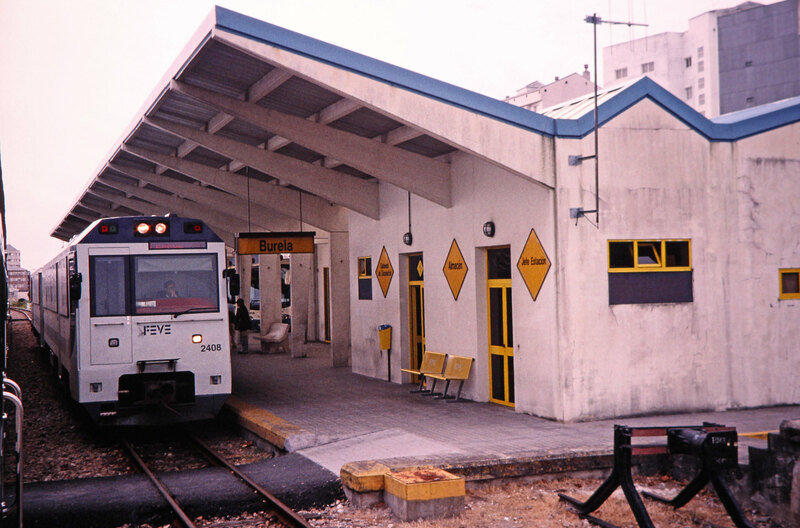 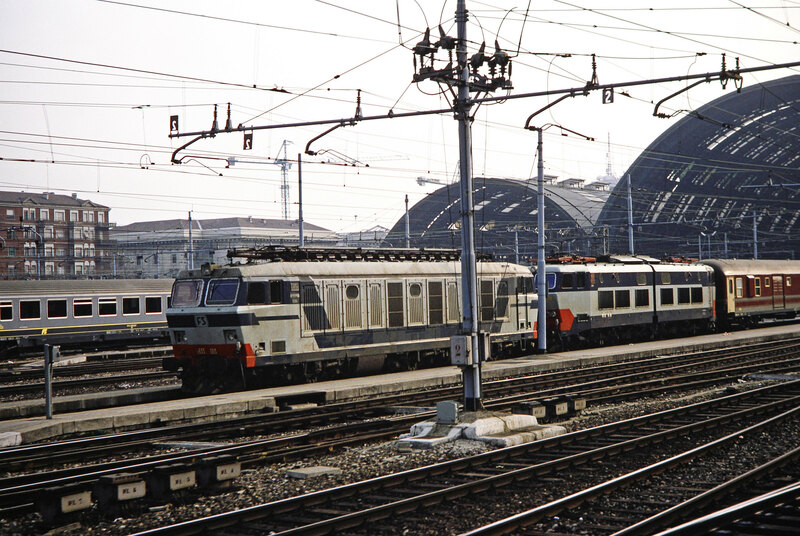 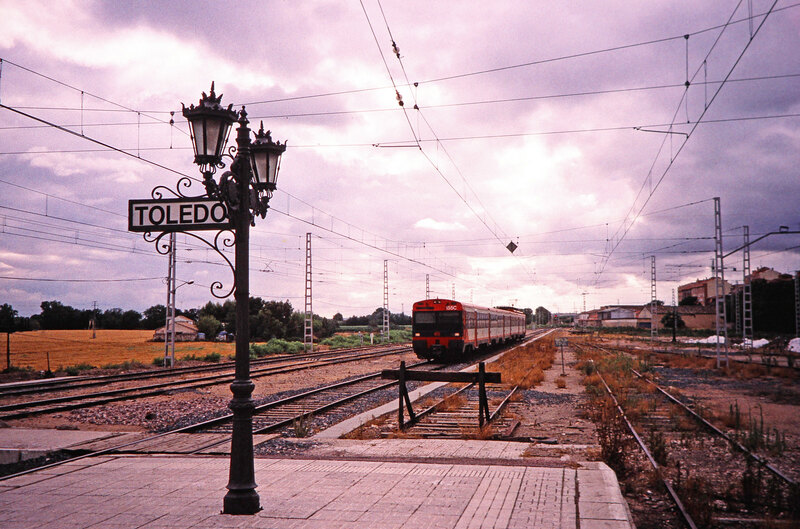 Silver passenger cars are surrounded by service tools and train signal devices in a yard in Mulhouse, Alsace, France, on October 20, 2000. 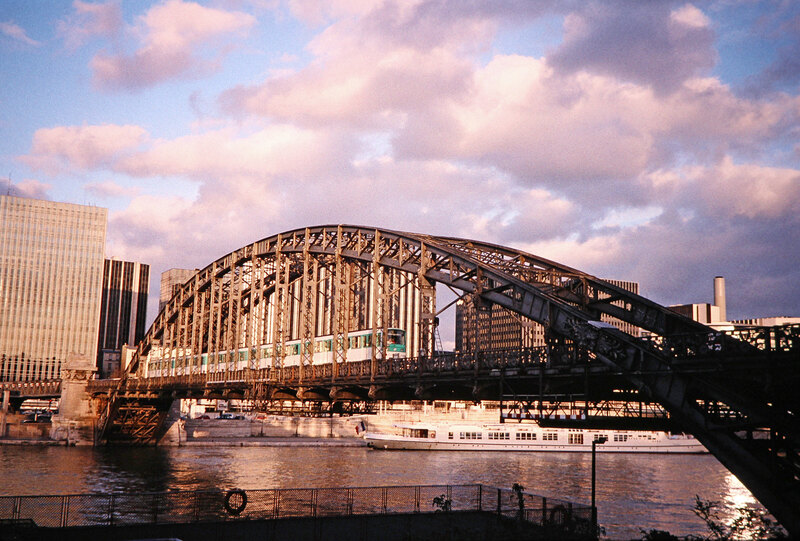 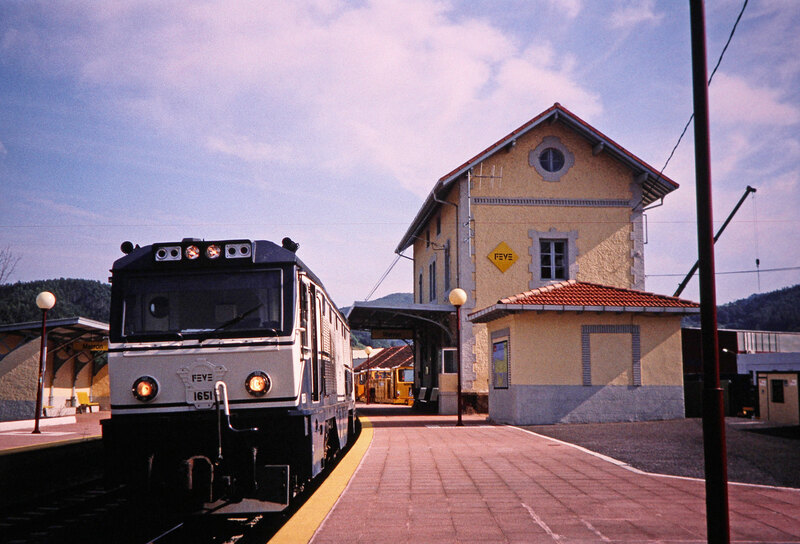 Photograph by Fred M. Springer, © 2014, Center for Railroad Photography and Art. 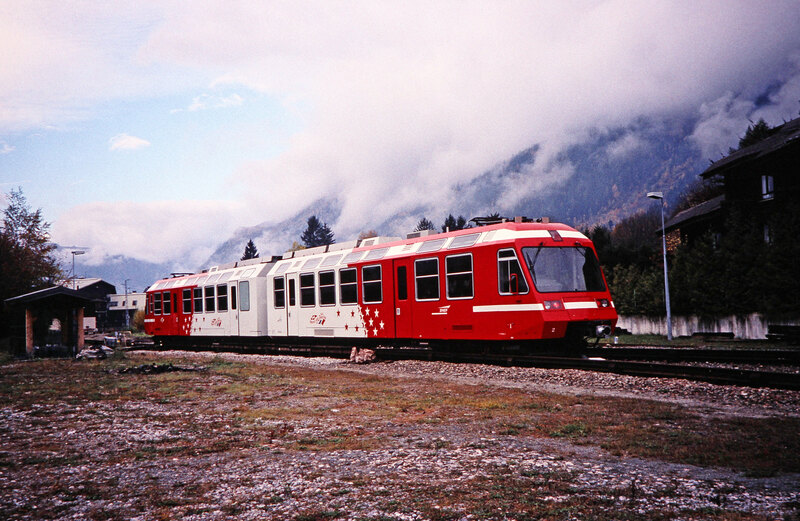 Springer-Swiss(2)-01-16.